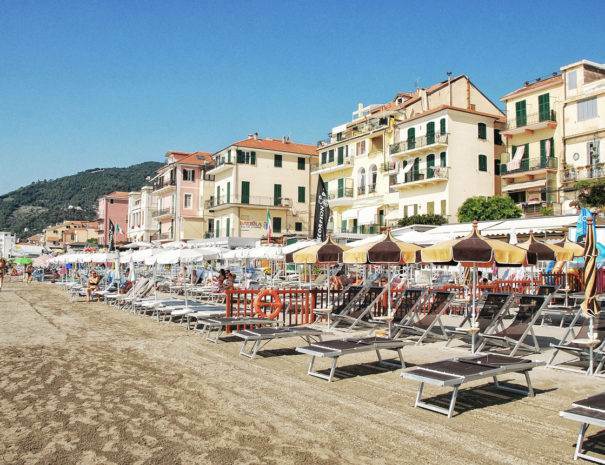 Alassio’s beach is very close to Hotel Mignon. Along with caffè Roma, the historic café of the Berrino family, it has been a favourite meeting place for the international jet set since the 50s. 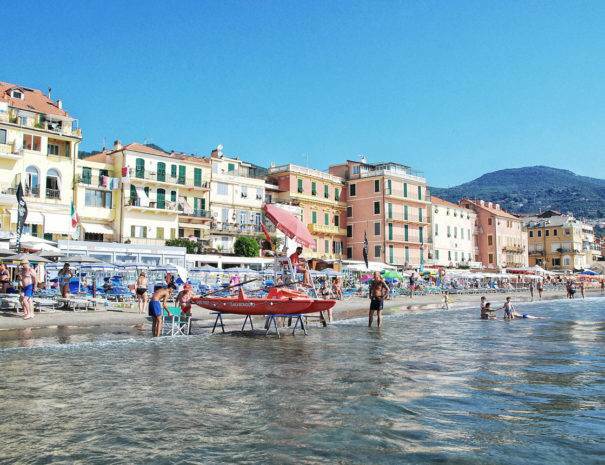 Movie stars spent their holidays in Alassio and, thanks to the prominent figure of Ernest Hemingway, its wall became famous. 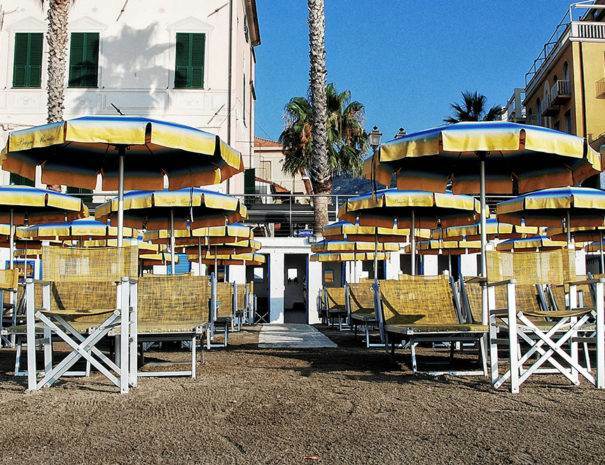 Alassio’s beach is known as the pearl of the “Riviera” for its gold and fine sand. 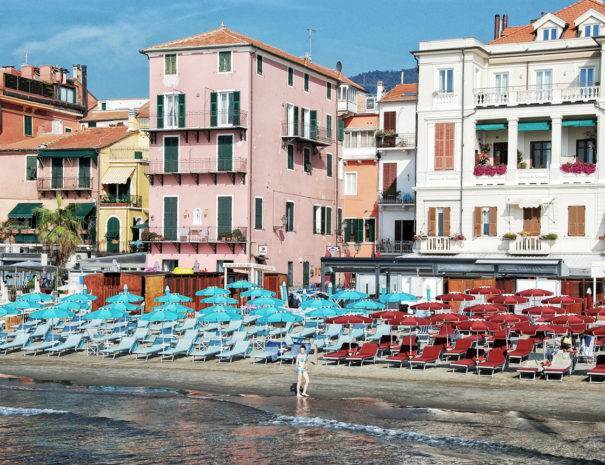 It is very different from the other Ligurian beaches, which have rocky and rugged shores covered in uncomfortable little stones. 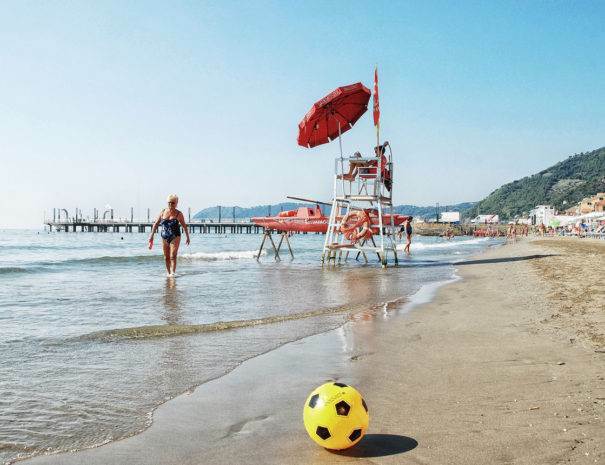 Its soft beach along with the gentle water edge that slowly sinks into the sea make Alassio the best place for water sports as well as any other activities to perform near the water. 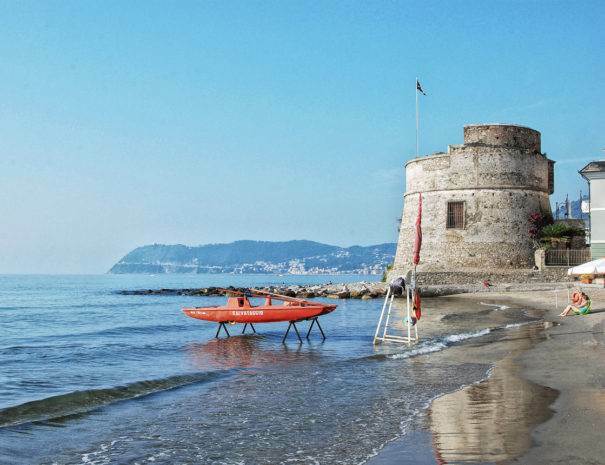 It is particularly good for children, who can enjoy themselves in complete safety.The coast is 5 km long and you can walk it pleasantly until the village of Laigueglia at any time of the day. If you like jogging with a sea view, you’ll enjoy an amazing experience and reach the old village with its Saracen towers from the sixth century. Along the coast, there are small squares not far from the old centre of the city and a lot of beach resorts that can offer you relax and a great number of free time activities to make your holiday the most exciting experience ever.To assure you the comforts you deserve, Hotel Mignon 2 stars has an agreement with two different beach resorts, Bagni Muretto and Bagni SLA. They will offer you the best prices and the most exclusive services to make your holiday in Alassio a relaxing experience.